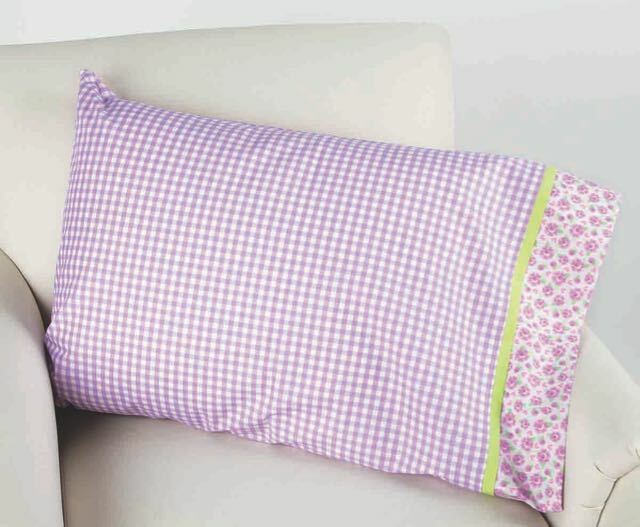 In today’s spotlight on Nancy Zieman’s I Sew For Fun program, we’ll take a look at seven “Two-Button” (really easy) sewing projects designed by Nancy. Remember to implement Nancy’s lighthearted methods when introducing youth to sewing. Watch the one-part series, I Sew For Fun on Sewing With Nancy. 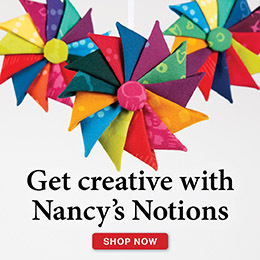 Nancy shares how to disregard lots of sewing rules and encourages adding a big dose of fun. Nancy’s approach of introducing youth to the experience of sewing can be paralleled to the way many of us initially work with youth in the kitchen—you work together as a team. The little partner can crack an egg into a bowl (You may need to pick out a few shells. ), fill the measuring cup, level off and dump the measuring cup (hopefully hitting the bowl), scoop out the dough, etc. 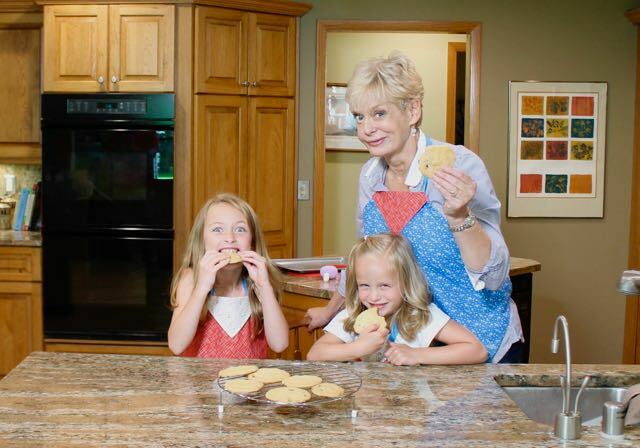 And, of course, everyone can enjoy eating the cookies! 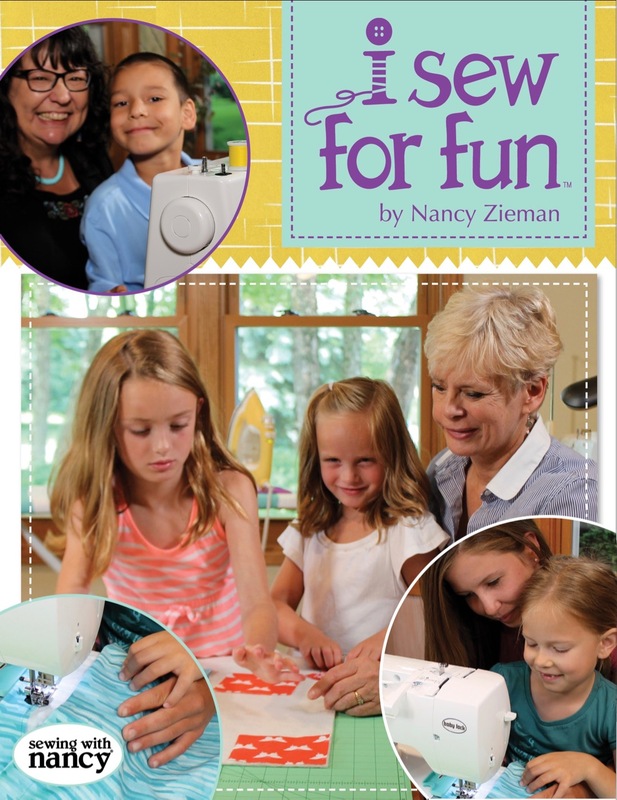 For chance to win a copy of Nancy Zieman’s new book with DVD, I Sew For Fun, from Nancy’s Notions, please leave a comment below. 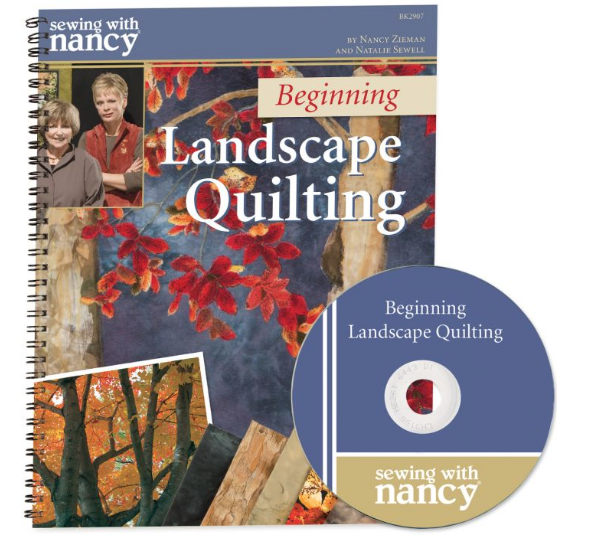 The randomly selected winner of two tickets to Quilt Expo, and a copy of the Beginning Landscape Quilting book/DVD from Nancy’s Notions is Laura M.
Her comment is: To choose one, it would be fall with the interesting colors and the light. A four season project has always been on my to-do list. When I work on this project, I will choose a “scene” and show it in all four seasons. I love to sew but have kept my enjoyment all to myself instead of sharing with my daughter. (11 yrs old) Why? I never knew where to start with teaching her and I tend to be a perfectionist plus my daughter is hormonal! I’m afraid we would clash. To actually SEE the words I SEW FOR FUN puts a lot into perspective for me! My daughter never wanted to learn to sew but HER daughter has done some sewing with me. Also a girl her age that I tutor is interested in doing some sewing. I sent a link to this series to my friend whose grandson wants to sew. My grand daughter us almost 9. We started an in the hoop Christmas embroidery house project a few years ago. She selected all of her color thread choices. I told her it didn’t have to be what they chose. She had a great time & still has the finished house. I’d love to work on one of the pillow cases with her. How I wish I had been able to use this great method of teaching youngsters to sew before I tried teaching my Granddaughter. I tried to teach her in a “correct” and thorough way, and in doing so, we lost the magic that might have been…. I love watching Nancy sewing with her Grandchildren. Like so many readers, I have a granddaughter and would love to introduce her to the world of sewing and this book has many great ideas. We have 6 granddaughters but it was actually my 10 year old grandson who asked me for a sewing lesson during his last visit. We plan to make a pillow case the next time he comes. Would love to have this book to share with all of them! I love sewing with my granddaughter, but she lives 1,000 miles away. I get to see her once a year, so we try to take advantage of the little time we have. Would love to have a book with projects for us to plan. What a nice way to get young ones into sewing. They will enjoy this fun useful skill. I was just admiring the beautiful notions on display in the picture. Mine look nothing like these. (Mine probably belong in a museum — lol) I think I’ll spend a little time in the notions isle next time I at the fabric store. Those long pins would be wonderful. I have 7 grand daughters that all are showing some interest in sewing. I would love to use Nancy”s book to encourage a love for sewing and to continue passing Nancy’s passions on. I have 5 granddaughters close to the same age. I love sewing and would love to share this book with them as they start to learn to sew by making skirts for themselves and their dolls. After that the pillows and pillowcases. I saw this quote, “Nancy shares how to disregard lots of sewing rules and encourages adding a big dose of fun.” I immediately thought “I need that!” because I finally have time to sew again, after 45 years, and I find I remember little of the previous 10 years of sewing. This sounds like it would a great refresher for me. Thanks! What a FABULOUS book this looks to be and what a simple way to teach the next generation so many things–how to sew, creativity, pride in work, staying focused to get the project done, listening to the adult (Grammie) teaching you, continued pride each time the young one sees what he/she has done, and most importantly, spending time and learning from an older generation! How I wish Nancy were alive to see just how much impact this product line is having on so many young people! My mother share her tapes of Sewing With Nancy, and I would love to do the same for my children. I am excited to use this book with them! I just love the cute little projects in this book! 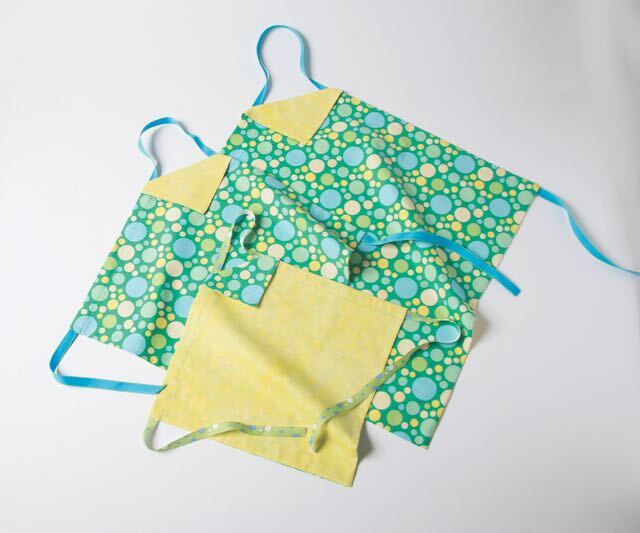 I also think the I sew for fun sewing products are great for children and beginner sewers! Sewing some of those projects would be great lessons for my 5 year old granddaughter. Her mother wasn’t so anxious to sew, but she can’t wait. This looks perfect. I dont want to overwhelm her. My grandmother taught me to see on an old singer machine that only had two stitches on it. Straight and zigzag. Her love of sewing continues on with me. She taught me how to make placemats, table runners, curtains and eventually clothes. I now sew wedding gowns and bridal party gowns for a living. I also sew pageant gowns. I have been sewing almost 50 years, she passed in 1969. I would be honored to win your book, I have been contemplating teaching some girls at my church. They seem to be genuinely interested. Thanks for all of your wonderful ideas. Hi, Thanks for the info and projects for little sewists. I have a neighbor girl who is interested in sewing as do several of her friends. These ideas would make great easy to do, looking good projects who are new to sewing. These projects look as if they will be quick and good looking finished projects. Thanks for the information. Looks like a great book for teaching my great-granddaughters to sew. I have one that is 20 years old that I used when I taught their mothers. Some of my fondest memories include learning to sew for fun with my mom and teaching my children to sew for fun. I still sew for fun and look forward to sewing for fun with grandchildren! I LOVE Nancy’s relaxed approach to teaching young ones to sew! What a great example to us all! I have been a 4-H sewing instructor for 28 years. I have lost count of the number of 4-Hers that I have helped through the years, including my 3 children. Now my twin grandsons(10 yrs old) have picked up the “sewing bug”. 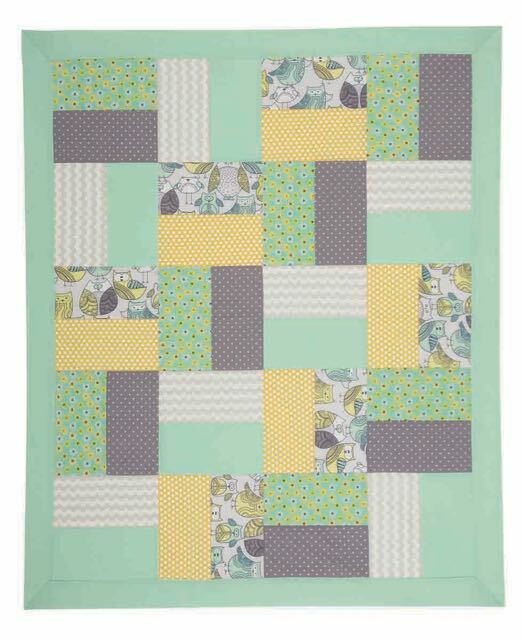 When I was asked to make a baby quilt for a church member they decided that they wanted to make one also. That little boy ended up with 3 blankets! It is getting harder to find projects that 8 year olds can do, especially as a community project for children in the hospital, these projects look like they would work. I’ve been sewing since I was 8 and now have grandchildren. So far I’ve been able to interest my 11 year old grandchild and hope to pass the love of sewing to the others. I’ve been sewing since I was 8 years old. My grandmother taught me a love of sewing. I would like to share that with my 9 year old granddaughter too. Sewing with kids is always fun. It’s a blessing to be able to teach another generation of youngsters to sew. Nancy provided the best ideas for passing that knowledge on. I do sew with my granddaughter, the best way I have found for now is have every thing cut out because she pretty mush just wants to sew. So all is cut out after she picks her colors. She will lose interest it she has to wait on me. Hit the pedal, and sew. I have always wanted to learn how to sew. I know sooo many other crafts but not this one. My aunt and cousin will be showing me in a couple of weeks when we get together for lunch, and I will be making a pillow case for my granddaughter. 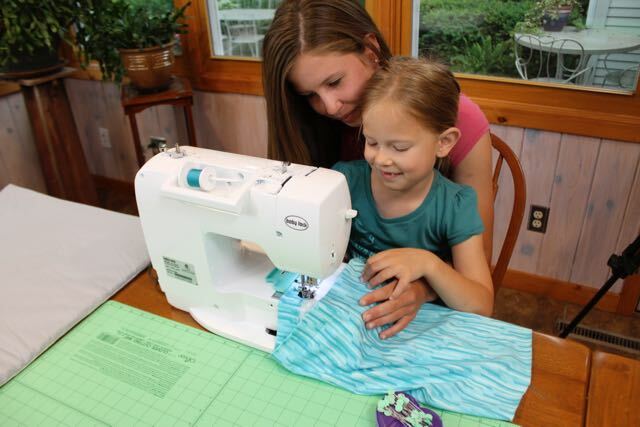 During our conversation, my cousin said that she is teaching her 6 year old granddaughter how to sew now, and that really peaked my interest to teach my granddaughter as well! Shes only 4, but we can learn together which will be a great bonding project. When I seen this book you are advertising, I thought wow, this would be great for both my granddaughter AND myself! Great idea! Would love to win this for my granddaughter!! I am 65 and have been seeing as long as I can remember. I was luck enough to acquire a 1902 Singer Tredle machine this year. I now have 5 machines. I converted my garage into my sewing room and have the great joy of teaching many of the young people around me how to sew. Many of these young people are in their 20s and 30s. They haven’t taught home economics is schools for years and these young ladies are now making wonderful things for their homes now. They get such a feeling of accomplishment. They all say they want to pass on to their little ones their new found knowledge. I would love a copy of your book to share new projects with them. I would love to have this to share with my 7 year old daughter. She has expressed an interest in sewing and crafting for a couple of years now and I don’t know where to begin with her. She has a business mindset and I would love for her to start as early as possible. She has 3 older brothers and this would be something that she could have all on her own… It would assist me in pointing her to the right direction! I love what you are doing and would love to share this gift with my daughter! She said to me that if she went on the show “Naked & Afraid” that her one item would be to take a sewing machine, lol! She would stitch it by turning the wheel she said since she wouldn’t have electricity! Lol! I would love to have this to share with my 7 year old daughter. She has expressed an interest in sewing and crafting for a couple of years now and I don’t know where to begin with her. She has a business mindset and I would love for her to start as early as possible. She has 3 older brothers and this would be something that she could have all on her own… It would assist me in pointing her to the right direction! I love what you are doing and would love to share this gift with my daughter! I would love a copy to give to my niece to begin sewing with her two little girls. I think it could be a fun family project. I’ve been sewing since a little before I was 12 and enjoyed the process of creating doll clothes and sewing my own clothes when I entered 7th grade. My mother sews and so does my sister and I hope my great nieces will love to sew, too. I would love to have this for my granddaughter Izzy. She is 10 and starting to show interest in learning to sew! I have already started teaching one of my granddaughters to hand sew and this book would help a lot when we graduate to the sewing machine. Granddaughters live far away but I’d love to sew with them when I go visit again. Mama has a sewing machine but just not enough time to do it. Gaga would love to help them sew something. My 7 year old daughter has been begging me to teach her to sew. She sees me sew and wants to sew like I do. Nancy’s book and DVD would be just the thing to use with my daughter. I appreciate the mentoring to teach the next generation to love and enjoy sewing that Nancy so effectively modeled in this series and in the book. I would love to have this book t teach my grandchildren how to make useful, fun , and easy projects. I think I would start with the pillowcase, because all children love fun pillowcases. Nancy was very insightful and really understood how to teach sewing at all levels. She understood the simplicity and enjoyment sewing could bring the to a child and mentor. It used to be cheaper to make your own things. Not so much anymore. What a great idea book to get the next generations involved in this wonderful craft. I’ve been sewing since I was about 10 years old & now my sewing pays for my medical needs with fibromyalgia. Who knew when I was so you g that I would need this very important skill and that it would help me support other people who live with chronic pain like I do? I’d love to win this book so I can use it to work with the little 4 & 5 year old girls that I watch everyday. They would love being able to make something & I’ll be honest I wasn’t sure how to go about beginning to teach them. Have watched for years. Nancy feels like a relative or close friend. My cousins live in Beaver Dam. Visited many years ago. Nancy encouraged everyone to try as well as enjoy sewing. It’s my mental health therapy. I miss Nancy, luckily her shows are still on. My 22 year old granddaughter just asked me to teach her how to sew. Although the book is aimed at younger sewists, there are still some projects that would be appropriate for her. And actually, the quilt projects would be good for us to try together. 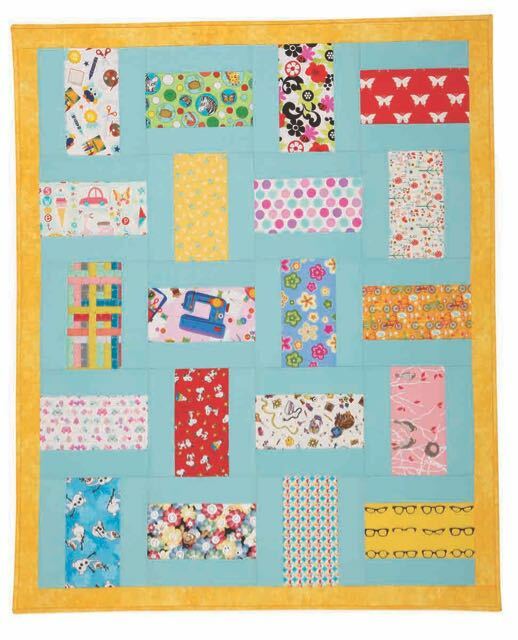 We’ve talked about making a memory quilt to honor my hubby/her “grandda,” so this would be very helpful. My 10 year old grandaughter was just getting old enough 3 years ago when my daughter’s family had to move out of state. I help her learn when I get to see her 2 times a year but it is hard with better structure. She began years ago putting pieces of fabric together to help me put together quilts. I would love to take her sewing lessons further with Nancy’s book and class. I need to teach my granddaughters to sew. They are very creative. Teaching children to sew can teach patience and gratification. I sewed in my 4-H club growing up. My mother bought me books by Nancy Zieman, which were treasures to me. I taught my own daughter to sew. And now I have my own 4-H club where I teach both boys and girls to sew. I am also a school teacher, and I host a summer sewing club for my middle schoolers. Now the teachers are asking me to teach them to sew! It’s a life long love. I taught my nine year old grand- niece how to use her brother sewing machine to make a pillowcase and as they say, she’s been off to the races since. My 18 year old niece learned to sew with me on her great grandmother’s feather weight. We made pillows and she continues to see for fun..5 years later. I want to start teaching my granddaughters to sew for their baby dolls. Nancy is such a great teaching model, not just sewing but also teaching in general. This book would give me a head start on creating with my grandchildren. “I Sew for Fun” is such an inspiration to me because I think it’s our responsibility and a pleasure to pass on our passions and skills to our future generations. If they don’t love it as much as us, that’s ok, but we should at least expose our kids/grandkids to activities like this. My granddaughter and I made an Irish Chain quilt together when she was 7. Now, whenever she comes to visit we plan on sewing together! I have introduced 3 granddaughters and two grandsons to sewing. The 9 year olds each made a dress. The other 3 have sat with me at the machine and also some hand work on stuffed animals with ‘holes’ that needed surgery. Nancy has been a favorite of one for any years. I am teaching upper elementary students beginning sewing, and would love to have this resource to draw upon for lessons. Thank you for the opportunity! I volunteer at my daughter’s school and teach sewing to kids in the Technical Theater class. Most of the kids have little or no sewing experience. This book would be a great resource for the class. This series makes me sew happy! I’ve been sewing for 40 years now and recently started teaching my 29 year old son to sew. It’s been a hoot! I dunno if it’s funner seeing with my grandkids or my son. My 11-year old granddaughter wants to learn to sew. She’s very creative and artistic so I’m hoping this book will give me some creative ideas so I don’t crush hers! Thank you! One of the ways I volunteer is at our local fall fair. 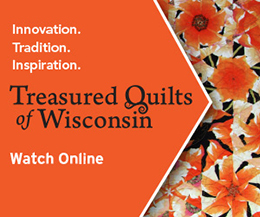 There is a category for youth sewing and youth quilt making. I have been “judging” these categories for several years now and enjoying the wonderful things made. 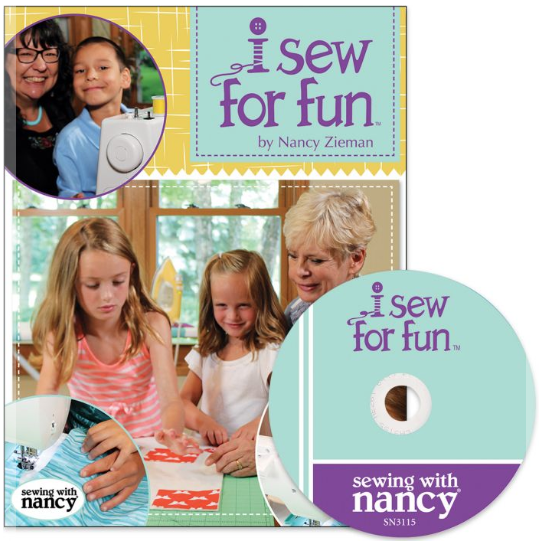 Nancy’s series would certainly help anyone wanting to sew with a young person. I’m so glad she took the time to create it. My granddaughter already loves making fabric choices and we have made a blanket for her to take on vacation. I don’t know how to take her further. Watching Nancy with her grandchildren is so helpful. She was an amazing in so many areas—I learned so much from her calm and clear instructions. My 4 granddaughters and I would really utilize this book. They could choose the project they want us to make together. I’ll bet they want doll and girl matching skirts first. So fun. Thank you for the opportunity to win this book and DVD. I love your easy and cute ideas for sewing with children….each project looks fun and simple, but satisfying!! Thanks for the great ideas. Nancy enjoyed her grand kids. Ten of my thirteen grandchildren want to sew. Using “I Sew for Fun” just may be the best book to utilize to begin! This would be perfect for my niece and her 3 yoing daughters who are all eager to learn to sew. My school district has sewing and cooking in middle School. I know someone that could use this book set to learn and teach her daughter. This would be fabulous! I tried teaching my daughter, but she is such a perfectionist, it was difficult. Now, she has a 9 month old, so they both could have fun in the future. I also have 2 grandsons who just might enjoy this too – well, when the 2 year old is a tad older! Good thing Grandma still has her older machine – perfect for teaching! 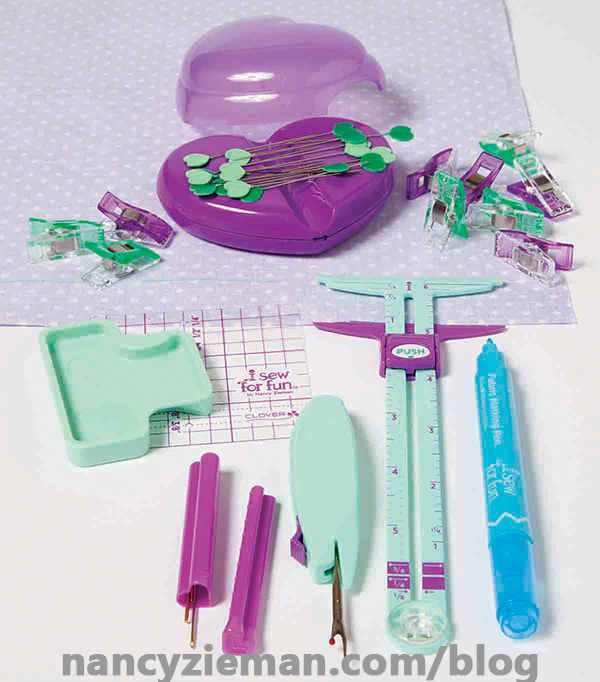 I would love to use this to help my two little granddaughters learn to sew! It looks lovely! And yes, how sad that there’s no home ec in the schools anymore. I love the fact that you can sew with your granddaughters. I recently taught my Girl Scout troop how to use the sewing machine. It seems to be easier for my Daisy Scouts, then it was for my Junior Scouts. It seems the Junior Scouts were afraid of getting their hand sewn, whereas, the Daisy Scouts were fearless. Just a few days ago I introduced my 9 year old only grandson to sewing. Together we made a cotton blanket with big squares for his bed. This would be the perfect way to continue. And maybe get my daughter sewing too. It’s never to early or late to show a child or adult to sew. 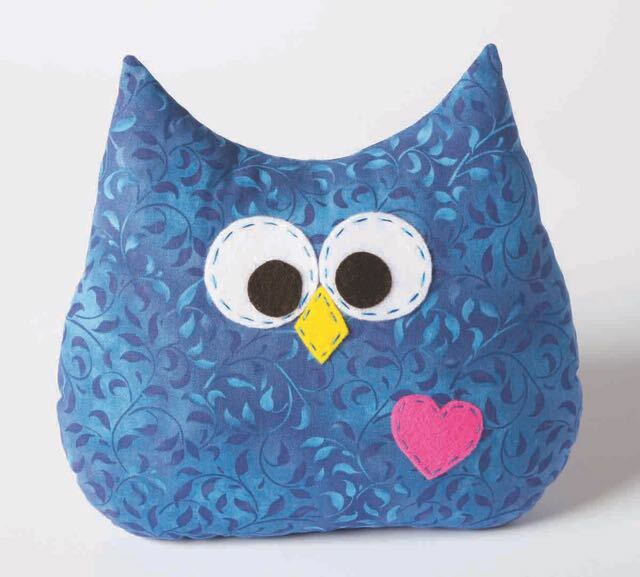 It’s making sewing fun and making something they want to sew!!! This would be so perfect for me to use with my twin granddaughters as they are wanting to learn to sew. I have already planned on gifting my granddaughter a sewing machine for Christmas. Winning this to accompany the machine would be such a wonderful memory for me and her as well . We so need to encourage all the boys and girls to sew. The skills are essential. Have you priced professional alterations lately??? and are they even available? My mom gave me a sewing machine when i first got married been sewing ever since .I’m 54 now and have A 4 month old first Grandchild. I hope to teach her how to sew one day . They don’t have home ecomics in schools any more. This is terrific. My granddaughter has been sewing at summer camp. I plan on gifting her a machine for her next birthday. She beams when wearing her summer creations. Great timing on this post. Thanks. I showed my 6 year old granddaughter “30 minute Doll Clothes”. She hugged it with joy. She asked me to teach her to sew and today she made a simple dress for herself. (I sewed the neckline and armholes). We would dearly love to have this book and dvd, please. This project series is Not just for children! You are absolutely RIGHT. Nancy designed this program for teaching children to sew, but the projects are great for moms to sew for their children too. My daughter, who never really took an interest in sewing, is learning to sew with her 6 year old daughter. What a good idea. To Sew for Fun has wonderful ideas and sewing techniques to learn and create from. I have 5 grand daughters who I hope will see the Love for Sewing in the future for them. Since I now have two granddaughters, this book is right up my alley. Can’t wait to begin teaching them my love of quilting. Thanks. Thank you for the great ideas to try with my granddaughter. I am looking forward to sharing my love of sewing with her. My oldest grandchild is almost at a good age to start sewing. looking forward to teaching all the grandchildren to sew. We have a lot of fun together in the kitchen; I imagine we’ll have as much fun in the craft room! Oh what a great tool to add to the children’s learning. Opening the door to SEW many ideas. 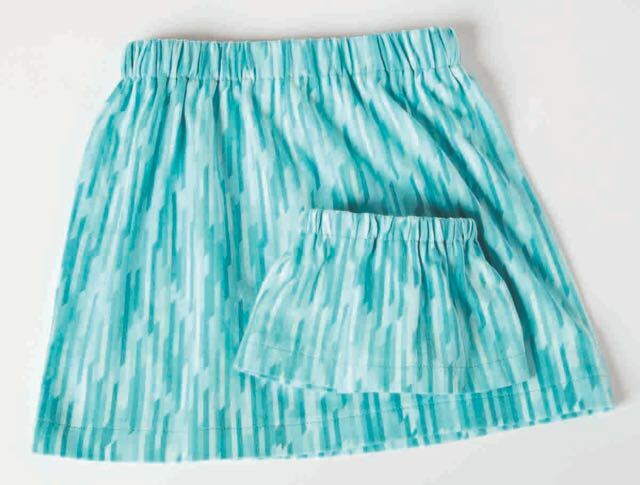 I sew with 4-H members and my own grandchildren and am always looking for new project ideas. I have 7 grand daughters, ages 18 to 6 years, and some of them have been asking me to teach them to sew, so I think this book would be ideal to introduce them to sewing for fun and easy projects. Thanks, Nancy, for helping teach young ones to sew.